When I started in law enforcement at the Portland Police Bureau in 1978, the bureau was proud of two great advancements, a single computer station in each precinct that printed results on paper (no video screen, just a printer!). 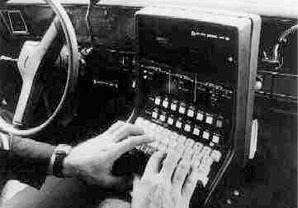 What’s even more amazing, Mobile Data Terminals (MDTs) – computerized devices used to communicate with central dispatch offices – became available in a few police cars. How we fought over the chance to drive a car with an MDT! 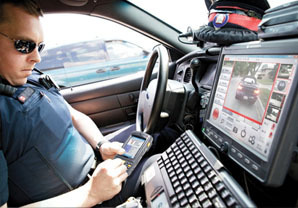 The power and speed of being able to run license plates for registrations and wanted persons via mobile wireless connection was a giant step forward for policing. Today, the power of mobile data is just as amazing, and just as valuable, to every consumer. 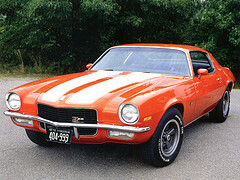 Having a smartphone that allows you to text, email, play games, and surf the Internet is to teenagers today what owning a 1970 Camaro Z-28 was to my generation. I gotta have one! This desire to have the latest version of a Mobile Data Terminal in the palm of your hand has brought out the crooks to meet the demand. We at 3VR CrimeDex are seeing a dramatic increase in burglaries and armed robberies of wireless communications stores and retailers who sell these devices. In the old days, I used to respond to wall and roof-forced entries of pharmacies and jewelry stores, and armed robberies of banks. Today, the places to hit are sellers of mobile devices. A thief can load up a duffle bag with iPhones and iPads, knowing they will be easy and fast to fence at a high price. As the New York Daily News reported, there were 26,000 incidents of electronic theft in the city during the first 10 months of 2011; 81% of those reported robberies involved cellphones. The wireless industry is responding to the problem. In April 2012, the Federal Communications Commission announced the PROTECT initiative to combat the theft of smartphones, tablets, and the data they contain. They are creating a shared national database of stolen mobile devices that will make them useless to a buyer. The database went live in November 2012; so far, GSM network carriers AT&T and T-Mobile have launched their databases. CDMA network carriers Verizon and Sprint should be merging their data by November 2013. No longer will carriers activate a stolen phone from their own network or a competitor’s network. Hopefully, this will end the demand for stolen smartphones. Will the crooks go back to robbing banks? Or, will they find a way to get around the blocking database by hacking the phones? Hacking phones to make them usable again may yet spawn another underground technology industry.